A textured white slate effect square shower tray with a sleek ultra-low profile, these beautifully crafted slate effect shower trays are perfect for adding a natural feel to your bathroom. 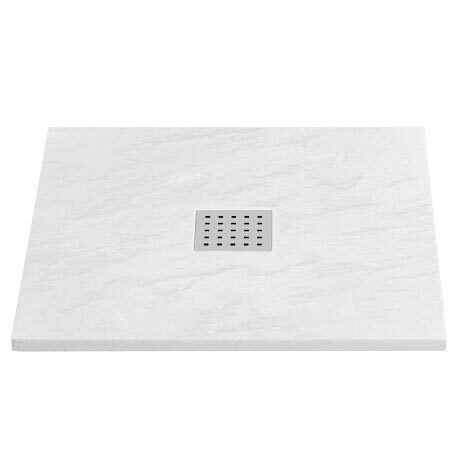 This robust 900 x 900mm shower tray has been manufactured from acrylic capped stone resin which does not shrink, twist or warp. "Very heavy slate effect shower tray looks very modern, clean and sleek, pleased eith my purchase."